There’s literally no song on earth that David Guetta won’t work his magic on – even your favourite nursery rhymes aren’t safe. David Guetta may have just created the best/worst mash up ever – he’s taken on the popular nursery rhyme ‘If You’re Happy And You Know It’ and given it an EDM remix. Yes, really. 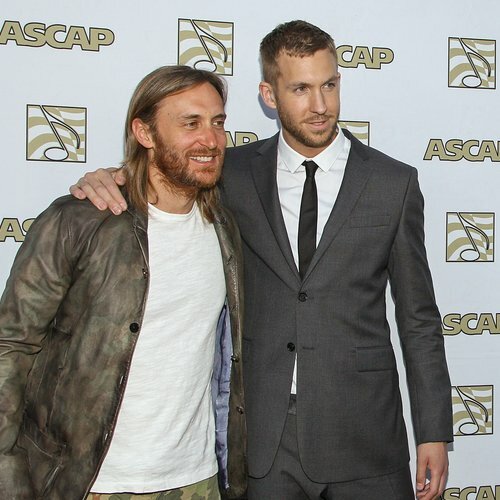 WOW - David Guetta Becomes The 3rd Artist In History To Hit 2 BILLION Spotify Streams! David premiered the track at Tomorrowland Festival in Belgium last week with Dutch duo GLOWINTHEDARK, and the song has been divisive to say the least, with some fans that can’t get enough of the song and others who are a tad confused. Even fellow DJ Calvin Harris got involved, tweeting “Is Guetta’s version of ‘If You’re Happy And You Know It’ an early 90s rave referencing stroke of genius or an absolute pile of dog s**t”, quickly deleting it but not before eagle-eyed fans managed to save it. It’s not the first time David and Calvin have had a difference of opinion – Calvin posted that David’s bare legs in the bath is the kind of Snapchat story he hates, and Guetta responded saying that if Calvin can pose in his pants for Armani, he can post photos of his legs!